Dollhouses have a long history, beginning in the 17th century. They were originally used to display interior designs, but eventually came to be used as children’s playthings. Today, they’re still loved by children, but there is also a growing global community of adult miniature collectors who value dollhouses for their style and quality. There is a huge variety to be found in the world of tiny houses, from the elaborate handmade houses to the mass-produced plastic ones. For many of us, the dollhouses we remember from childhood are the frilly Victorian type or the sterile Barbie’s Dream Houses. 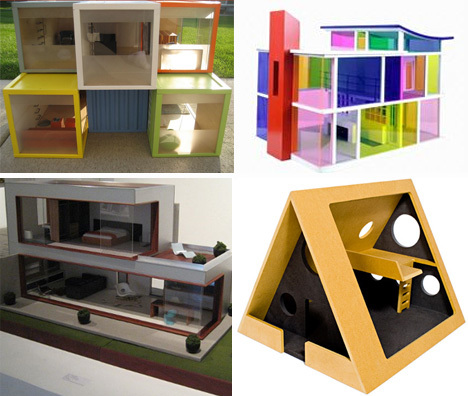 But there’s a whole world of sleek, stylish modern dollhouses out there, just waiting to instill a love of modern architecture in your little one. 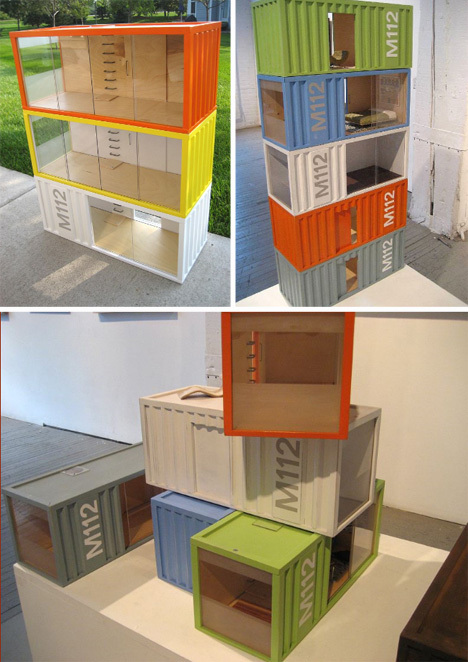 These shipping container modules from Paris Renfroe Design are the ultimate in modern dollhouse architecture. Taking the wildly popular container homes trend and shrinking it to dollhouse size, Renfroe is bringing even more exposure to this particular architectural movement. Each unit is handmade by the artist and will run you $175-$250, depending on your desired finish. If you have some money to throw around, this might just be the perfect way to inspire your aspiring architect or interior designer. 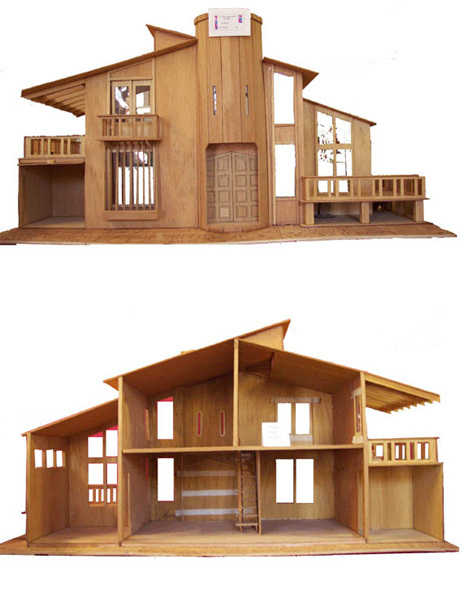 Fabulous prefab dollhouse design is also from Paris Renfroe; in fact, it was his first foray into miniature home design. The modern, open home could easily be a real city dwelling, complete with small backyard pool and intimate second-floor patio. 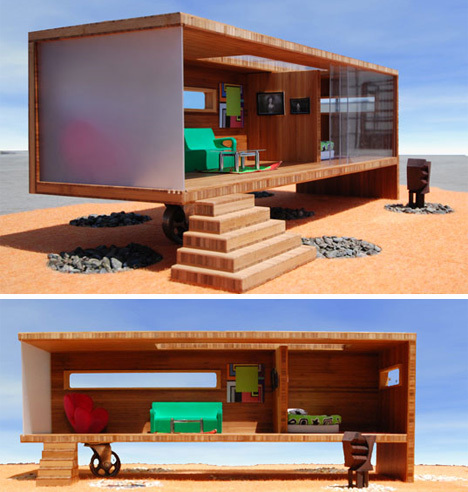 The Mini House 1 is another take on the modern modular dollhouse design. The upper and lower units can be purchased separately or together so you can come up with your own unique home design. The sleek lines and glass fronts offer an unquestionably modern alternative to those character-less plastic dollhouses many of us grew up with. Magical things happen in dollhouses. Miniature lives are lived while children develop their social skills and imaginations. 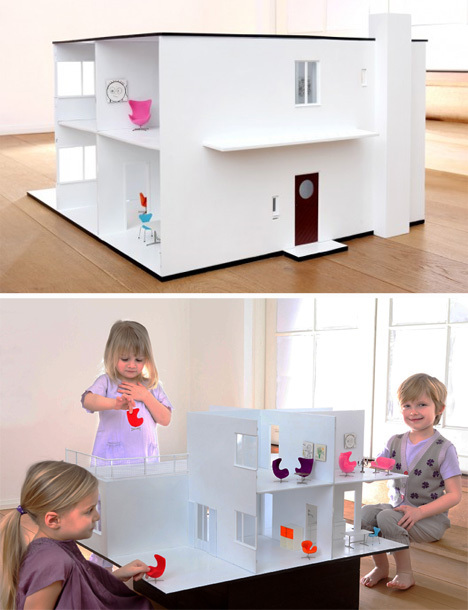 This gorgeous modern dollhouse from Minimii encourages that learning and playing with a design that even grownups will love. This house is an exact 1:14 replica of famed architect Arne Jacobsen’s beloved home. The company even offers modern furniture to outfit the crisp modern rooms. Why let the people who make the dollhouses have all the fun? 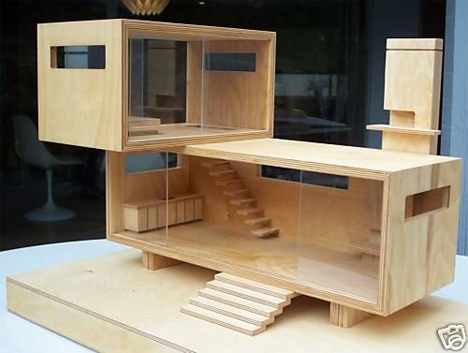 This Ultra Modern Doll House comes ready to finish, so you can apply your creativity to each and every room. 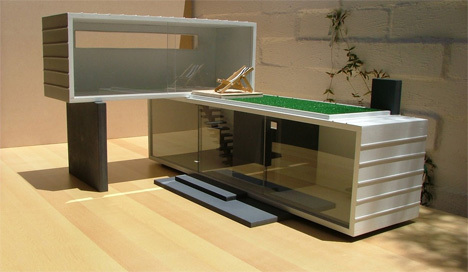 The high ceilings, interesting entryway, garage-top terrace and huge, modern windows make this a truly unique dollhouse. 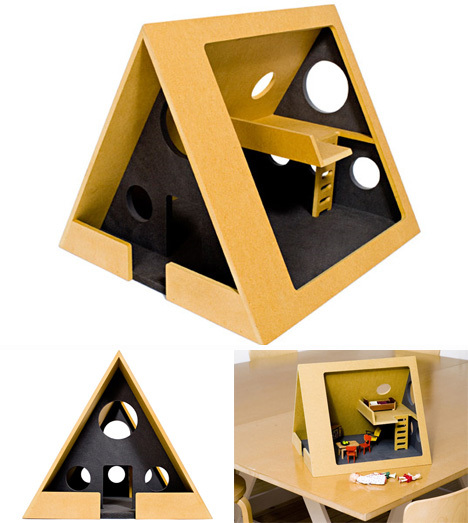 For all of the minuscule minimalist modernists out there, this A-frame dollhouse is based on Andrew Geller’s similarly-shaped teepee home from the 1950s. The unusual shape lends itself well to imaginative play, while the design itself is visually interesting enough that you’ll want to keep it out on the table rather than hide it away with the rest of the toys. You’d be forgiven for wondering what, exactly, this is. 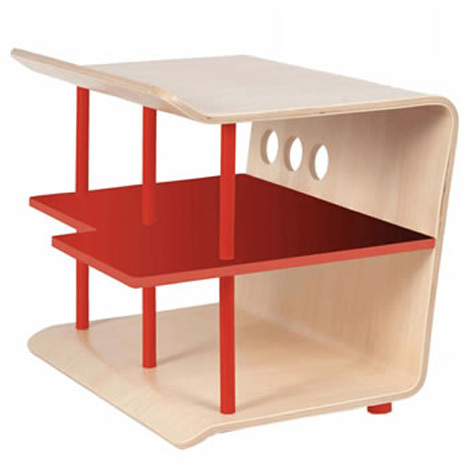 The 10 Grain Play Pad does look suspiciously similar to a table spotted at Ikea, but this is actually a very minimal, modern dollhouse. It’s simple enough that both boys and girls will love it, and it has the added bonus of being just ambiguous enough to serve other functions in the house. After the kids grow out of playing with dolls, it could easily become an end table. You don’t see many Bauhaus dollhouses, and probably for good reason: the classic style would be largely lost on little ones. But Kathy Osborne, an illustrator and graphic designer, didn’t really intend her design to be a child’s toy. Her first venture into designing dollhouses was originally going to be a replica of the famous Philip Johnson glass house, but she went in her own creative direction with it and produced something unique and marvelous. The Modularean Eco House may be the tiniest eco-friendly pre-fab house in the world. Its simplistic design enhances a decidedly nature-friendly aspect, while its eco-friendly materials enhance its connection to the planet. The single-wheel design adds a bit of whimsy and visual interest to this already-stunning little house. Is it a work of art, or is it a toy? That’s up to you to decide. Miniature houses aren’t only used for play time. Designers often use them to show off mini version of furniture or room designs, and architects often build miniature mockups of their ideas. If you ever need a worthy platform to display your miniature furniture, this would be it. The Villa Sibi Dollhouse is deliciously modern and comes with a garden deck, separate lap pool house, and modern furniture. And even if you just want to play, you can’t get more sleek and modern than this. This beauty was spotted on eBay and is said to have been the result of a collaboration between an architect and a cabinet maker. 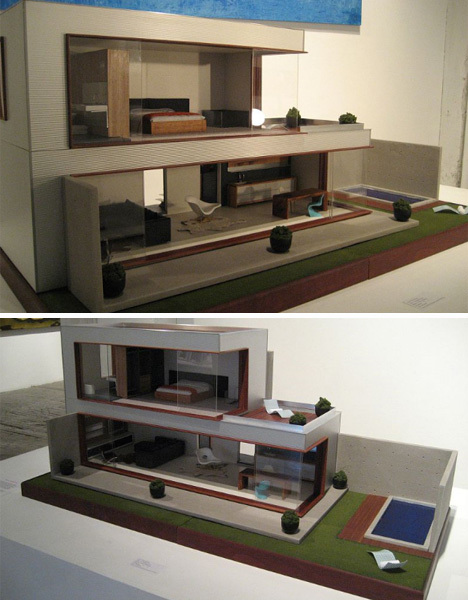 They wanted to experiment with dollhouse making just to see how it might turn out, and the results speak for themselves. The modernist cantilevered design is awesome enough to make just about anyone want to play with dolls. If this were a real house, it would be one of those that causes accidents because drivers are so distracted by its architecture. The asymmetrical floorplan and sloping roof would absolutely make this house the talk of the town. 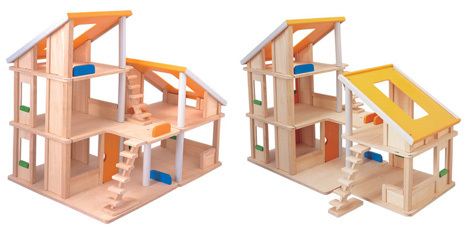 But luckily for all budding architects, it’s available for playing with at home. And even luckier – it’s made of non-toxic, sustainable materials. The Ding 3 and Raryray wooden dollhouses from Momoll have achieved an almost cult-like following in the world of miniature hobbyists. The Ding, above, comes with either two or three levels and looks more like a mod office building than a children’s toy. The Rayray offers hobbyists (and kids) a great deal of customization. It features simple but interesting shapes and enough room to show off all of your modern miniature furniture. 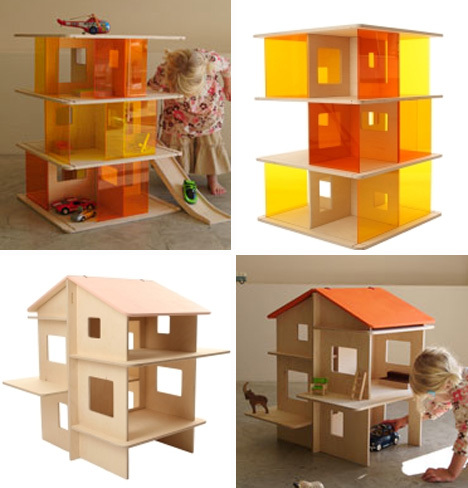 The Kaleidoscope dollhouse features colorful sliding transparent walls that let you change the configuration of the house while letting your imagination run wild. Manufactured by Bozart, the Kaleidoscope is no longer manufactured. It’s highly coveted, though, and when one pops up on eBay it usually goes for an exorbitant amount. 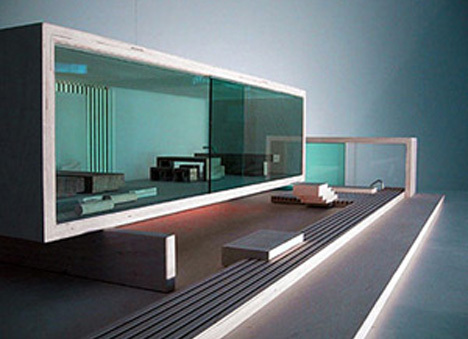 It’s no wonder, though: this house is unlike any other.